1. Love of Pumpkin Body Scrub – I can’t believe how amazing this smells, I actually want to eat it! Perfect for soft smooth skin. It has coconut and almond oil, and even oats! So good for your skin! 2. Pumpkin Pie Candle – Omg the smell of this candle, hand poured soy and I need to light it immediately! Perfect for Fall! 3. Love of Pumpkin Soap – such a natural soap made with shea butter and goats milk, oh and pumpkin pie spice of course! 4. Coco Cabana lip balm – such a yummy smelling coconut lemongrass treat for your lips! 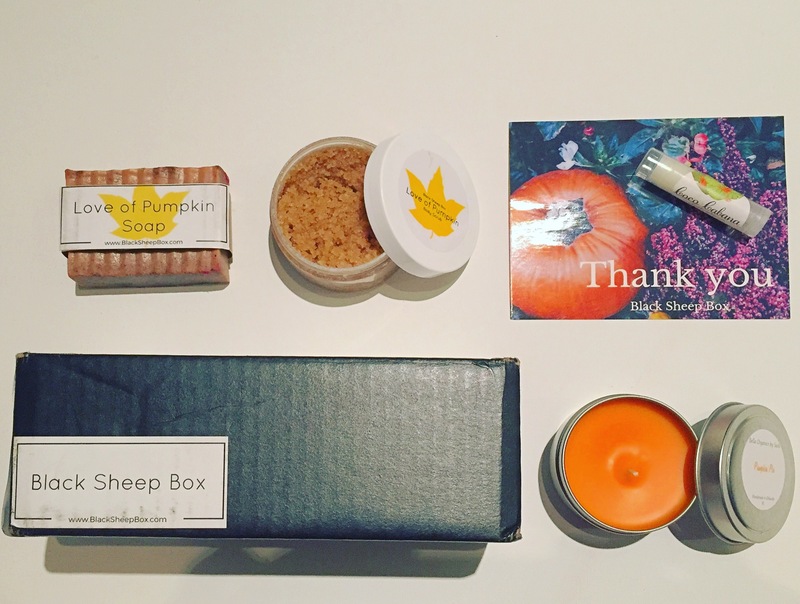 Take a look at this review post from our November box!